A black wooden figure of a girl. 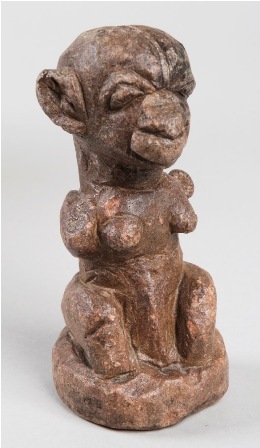 The Glasgow Museum catalogue notes that this figure represents a Mende girl prior to initiation into the Sande society. She has elaborate scarification marks on her arms and face. This figure remains very glossy, suggesting that it may not have been used. 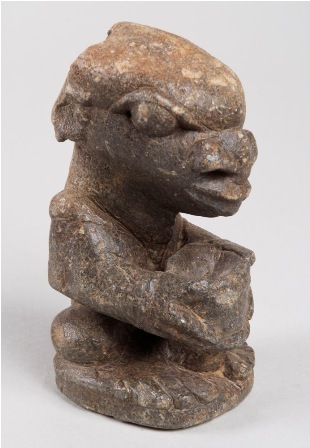 It is carved in a similar style to GLAMG:A.1946.16.a, which may suggest it was made by the same carver.